Join the newsletter and keep up to date with us! 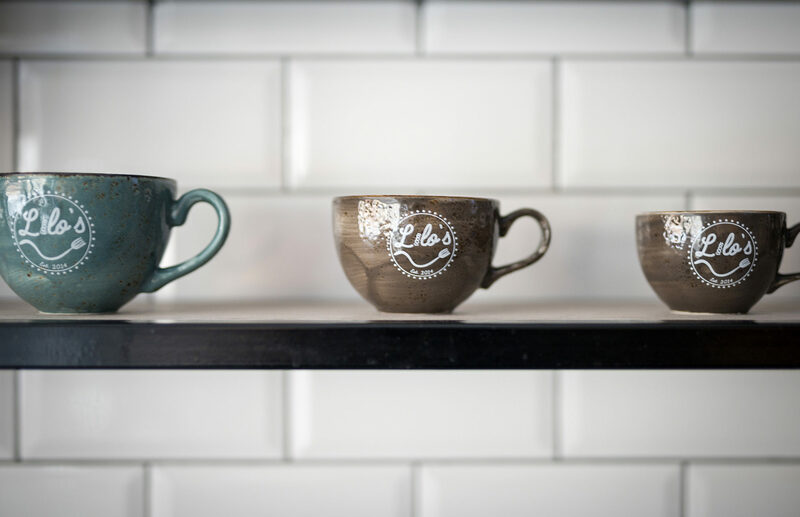 We began working with Lilo’s at an exciting time of growth and expansion when they looked to open another café. Lilo’s approached us to rebrand and create a clear and focussed brand for their chain of cafés. 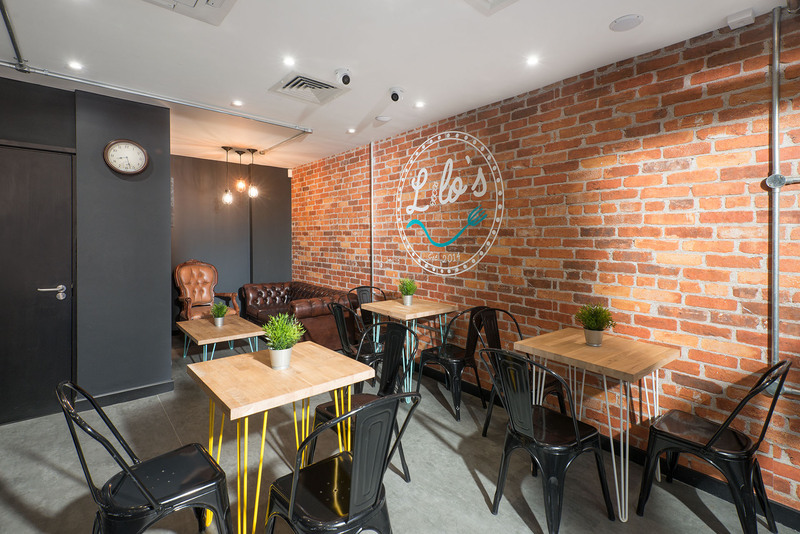 Lilos provides a healthy alternative to fast food; from pasta to breakfast bagels. 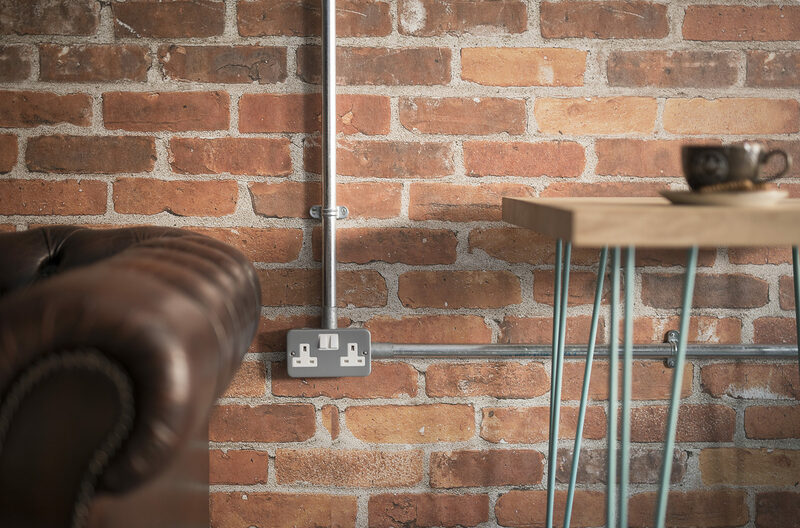 We designed the space to fit all services and allow for growth, ensuring it was fit for the future. We offered a design that showcases the unique nature of their business. Tasked with a brief and only one image, we designed their chain around one item, and one item only: their Sanremo Café Racer coffee machine. 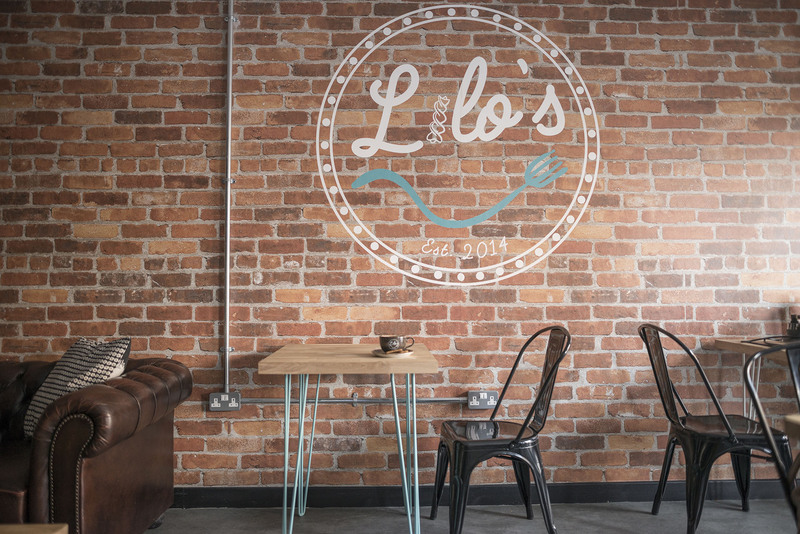 The second restaurant in its chain, Lilos approached us to design, develop and deliver their first Cardiff café. 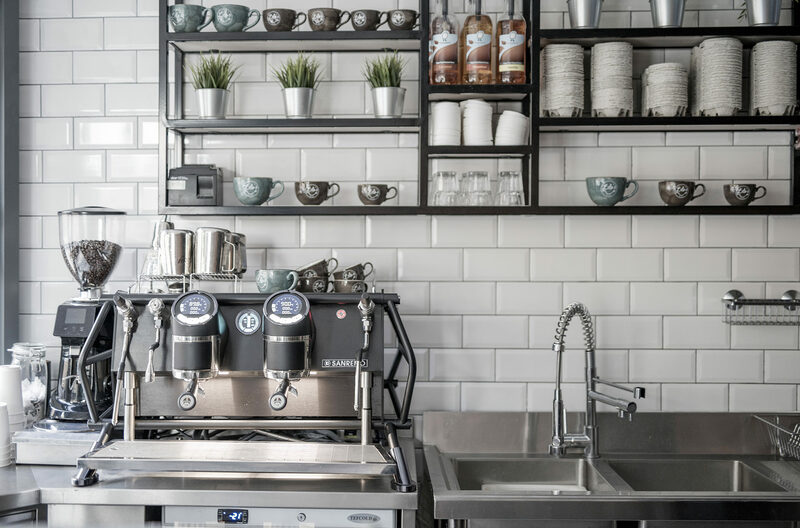 The heart of Lilo’s brand refresh is the Sanremo Café Racer coffee machine. 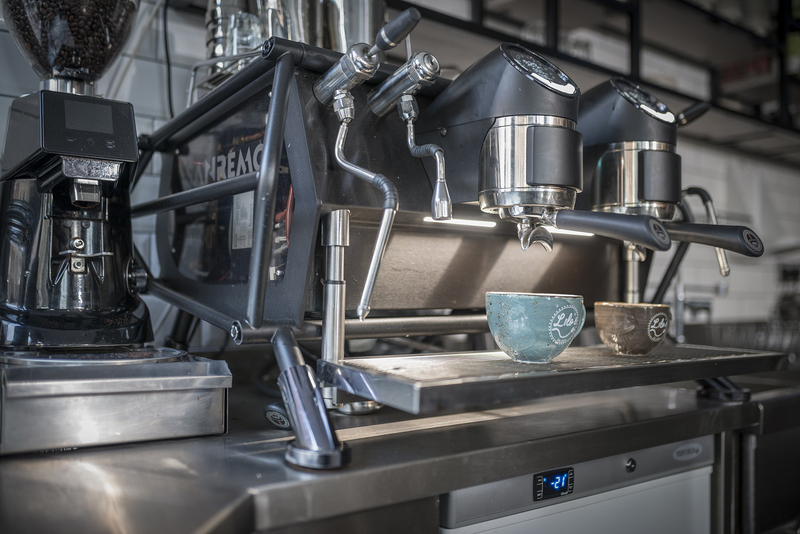 This beautiful machine gives Lilos a unique selling point over other coffee shops on the market. This machine is complemented with a coffee blend which is the first in the UK and unique for Lilos. 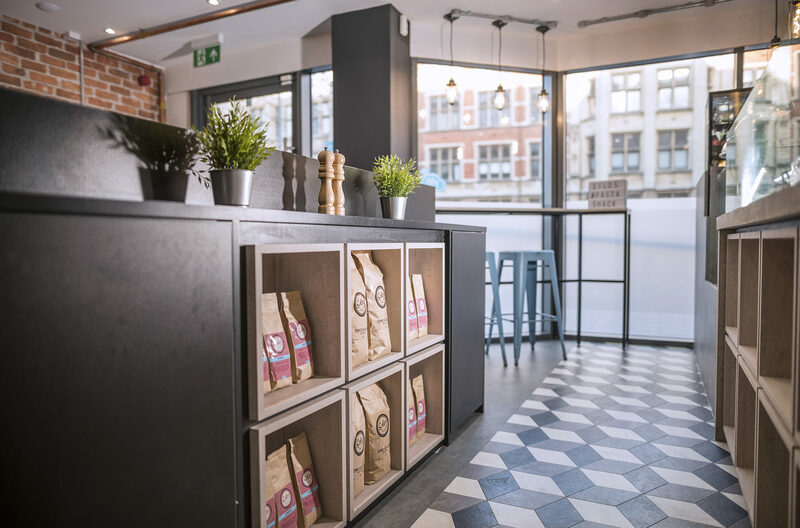 The interior design and brand are reflective of this – industrial and relaxed – a space to offer a place for customers to enjoy food, coffee and to hang out, work and socialise. 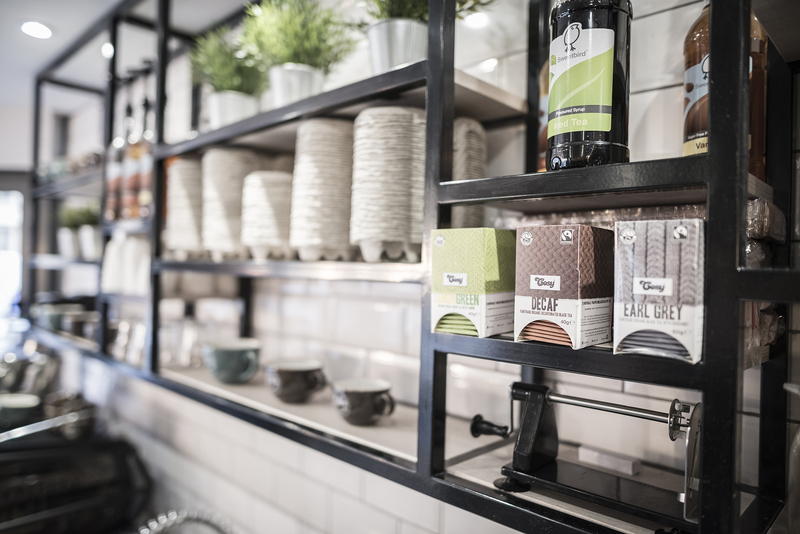 The new space is reflective of the new brand – concrete, reclaimed wood, copper and coloured metals – all of these accentuate the raw materials and contemporary look of the café. 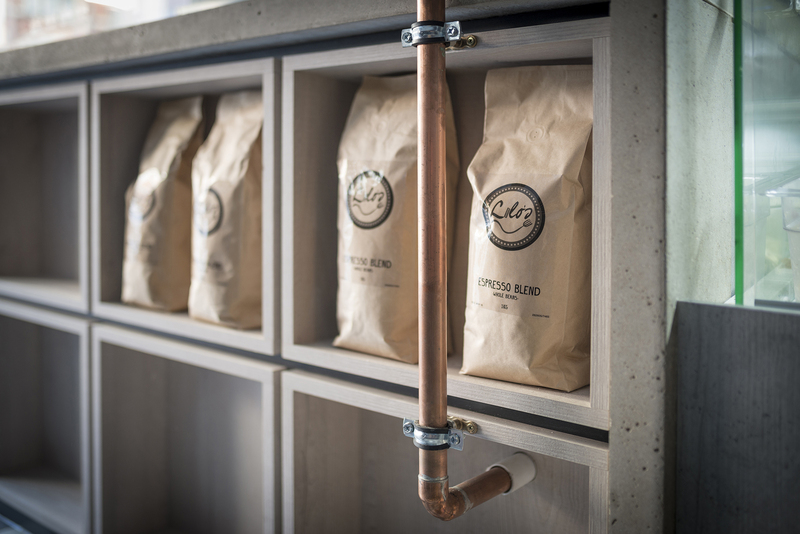 They not only connect the design with their first shop but also emulates their new Café Racer coffee machine that provides Lilos with their own brand of coffee. 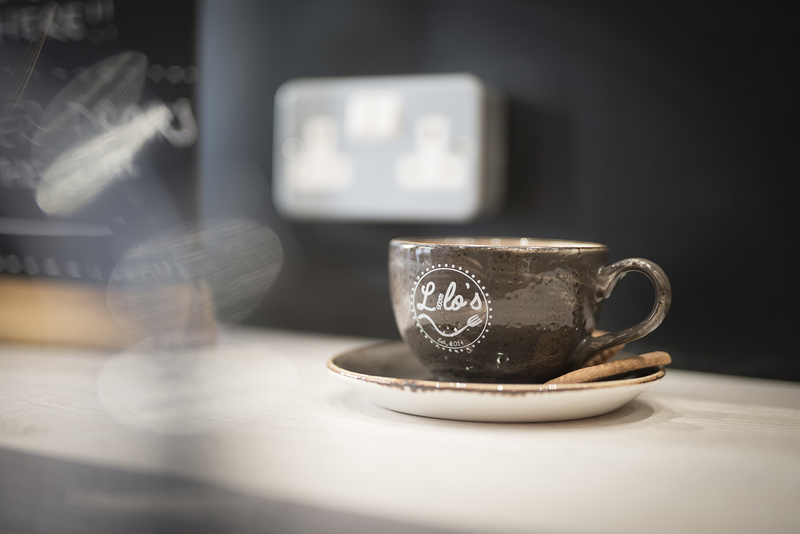 Lilo’s desired to open up a second in its chain of coffee shops in the newly refurbished Fitzalan court student accommodation. The overall purpose was to attract the students and office workers market. The premises in which Lilo’s chose is conveniently located within a student accommodation which is also conveniently located with many offices surrounding. 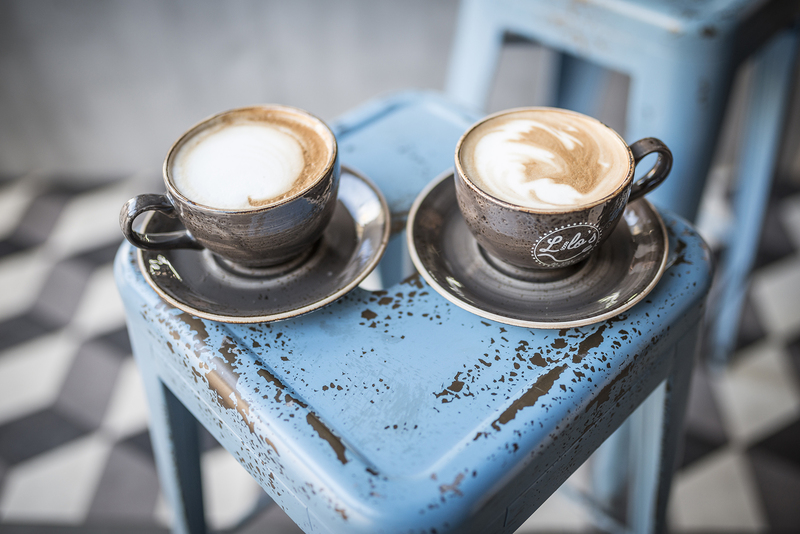 Their aim was to attract this type of market through providing a coffee shop which was different from many of the other coffee shops located on the same road. 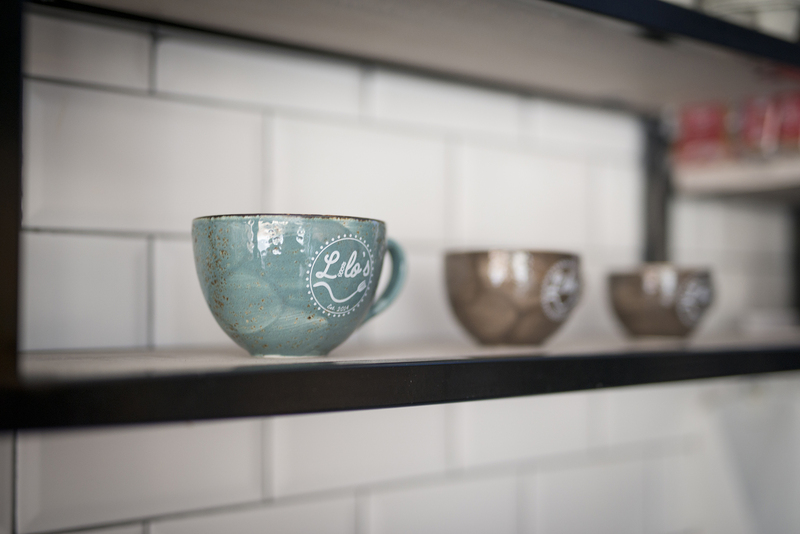 With the brief to replicate the existing layout of the first shop but also to allow the shop to have its own identity, the chain needed to not only connect the two stores but also allow Lilo’s to expand. The scheme initially began through seeing one of a Lilo’s retail products. This began the growth of the palette of colours and materials. 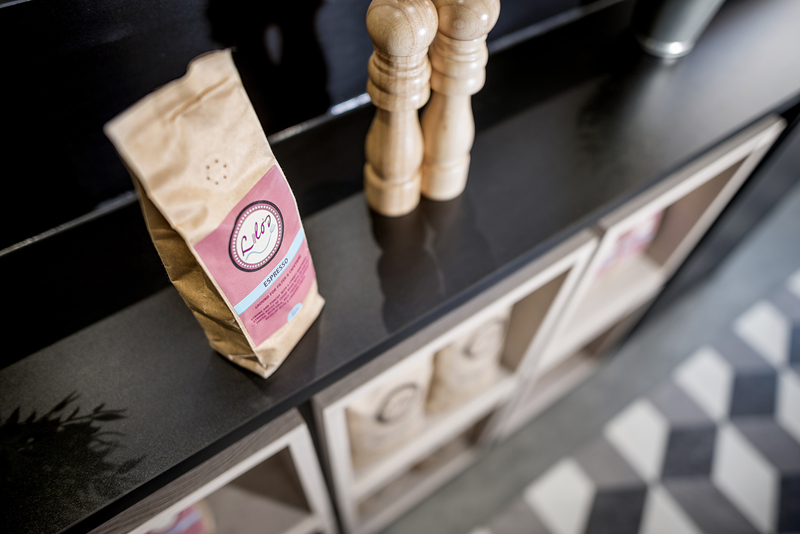 We wanted to create a coffee shop that was not only different from the others in the area but also stood the test of time. It would allow for Lilo’s to grow as a business but mostly to be bang on trend. The space located on the ground floor of student accommodation is conveniently located on a very busy main road in the city centre. 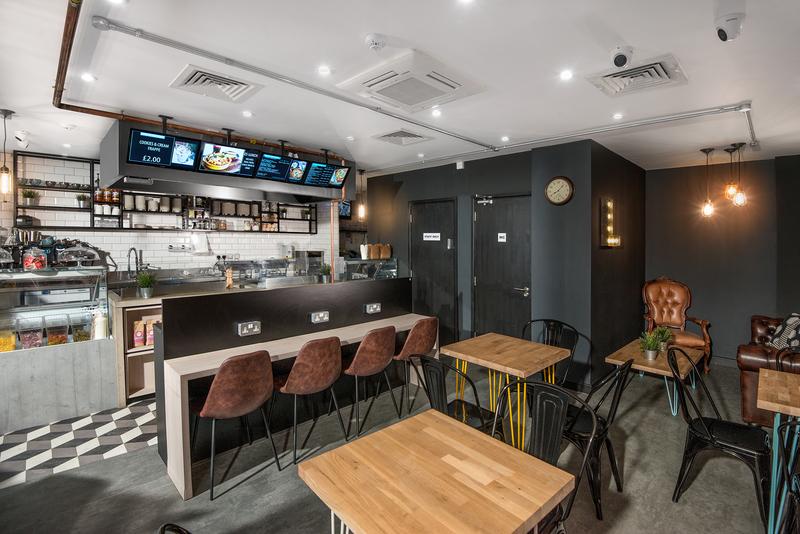 The space is approximately 50m² that needed to house a cooking station and servery, a back office with storage, a takeaway station, till area, WC, and seating area. The requirements tested the size of the space and what could be done with it. With areas to allow people to sit and work, eat and have a drink, it allowed for flexibility of the customer to choose how to use the space. Areas for relaxing was one of the key aims of the seating area with areas to connect and use the Wi-Fi. 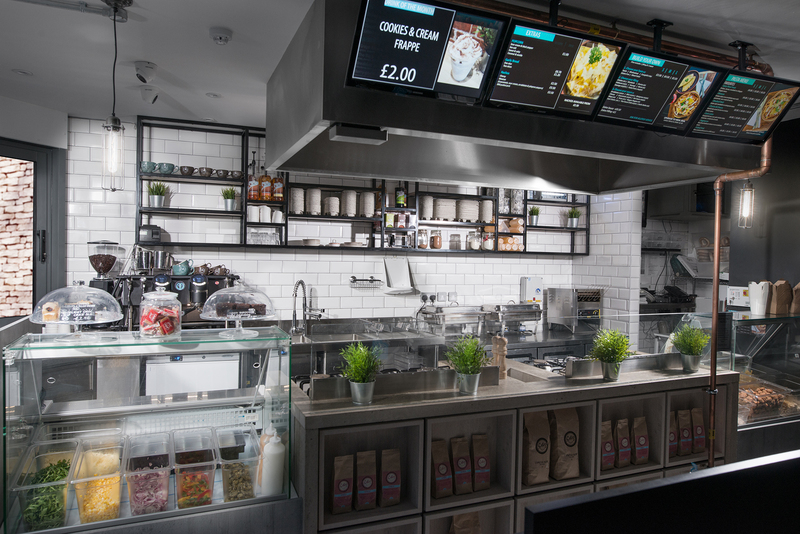 Critical path was another key aim, allowing the customer to walk in naturally either chose a table or go directly to the servery to order food. The flow needed to allow enough freedom to ensure that people who sat in the lounge area are not crowded by people in the queue. The main servery is a process that takes its inspiration from the chain, Subway. 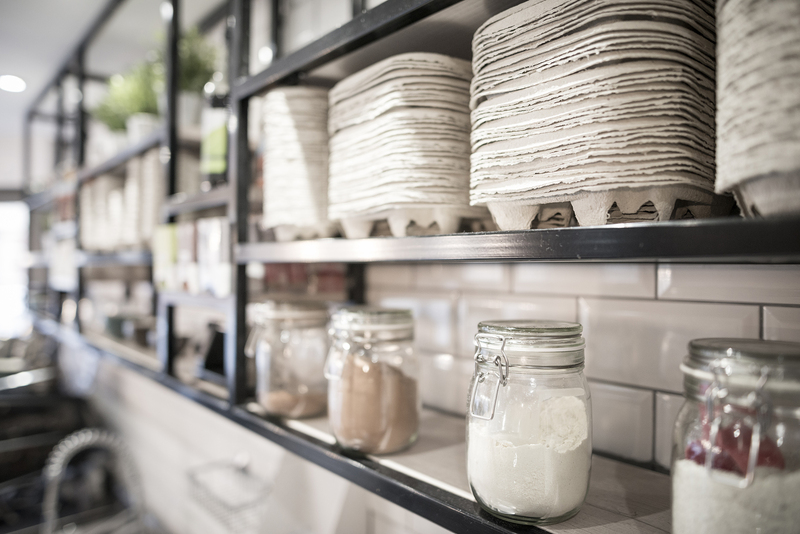 From initial order to food preparation and then to payment, this naturally created the design of the servery. The kitchen was the support of the main counter. 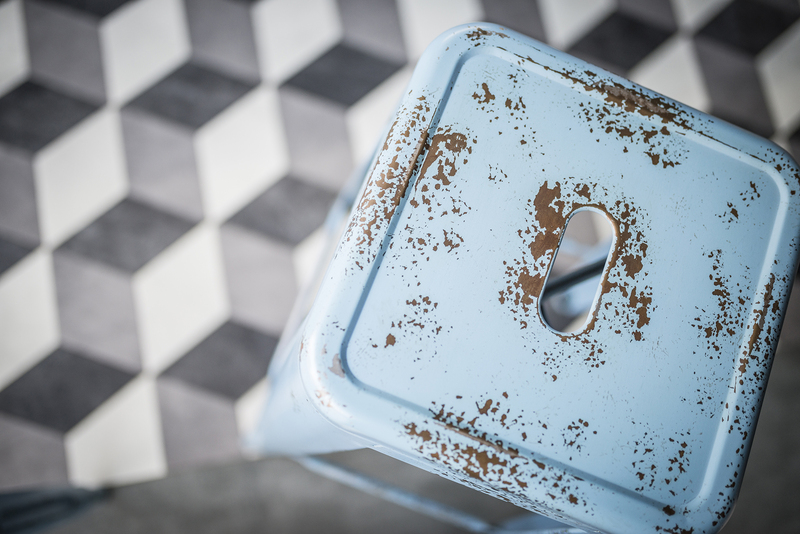 This area was designed in a different finish and was built from a concrete resin with a reclaimed timber finish. The kitchen, in a stainless steel finish, provided Lilo’s with the preparation area it required. 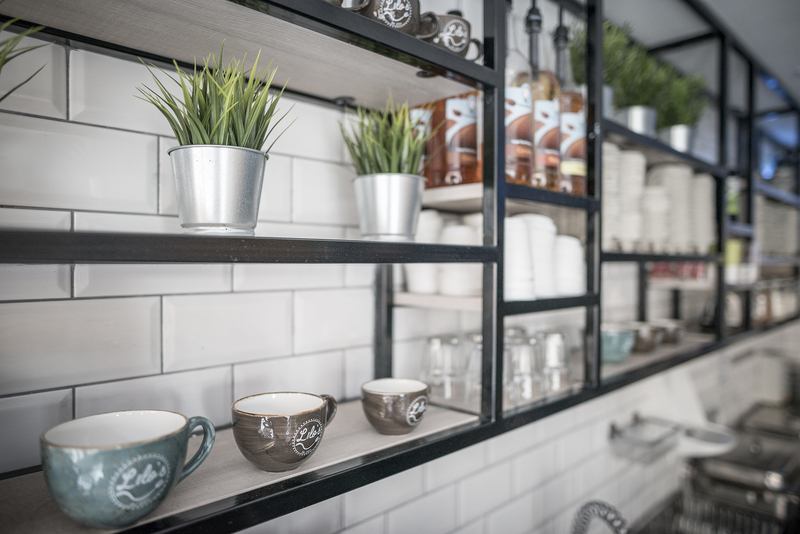 Taking its inspiration from reclaimed racking, steel and reclaimed wood shelving was designed to not only provide the kitchen area with storage but to also provide a retail area to the front of house team. One key feature to the design was the metal conduit which covers the acoustic ceiling installed due to the height of the ceiling requirements we were unable to provide an industrial ceiling to the main brief, therefore, a compromise was to install surface mounted metal conduit to the ceiling and walls. 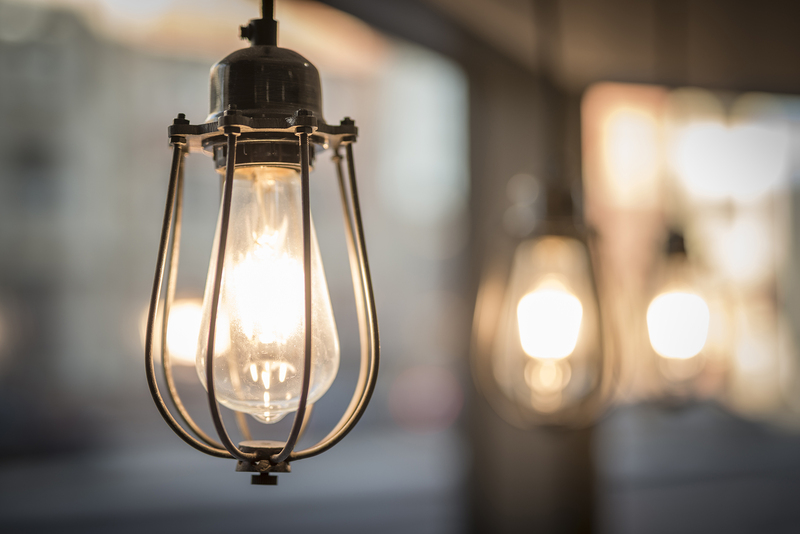 In light of this decision, a decision was made to install a gas line that was fed from the landlord area inside the student accommodation to the new premises. 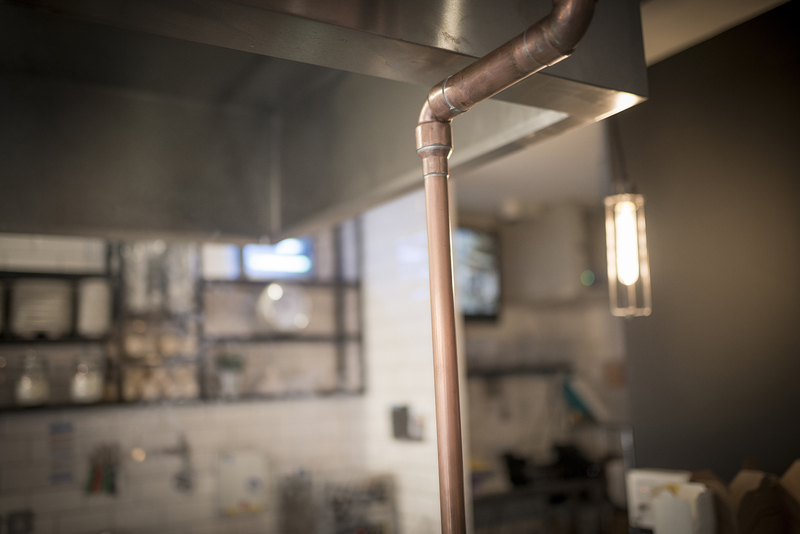 This gas line is a heavily exposed design feature and was retained in copper to add to the industrial feel of the space. 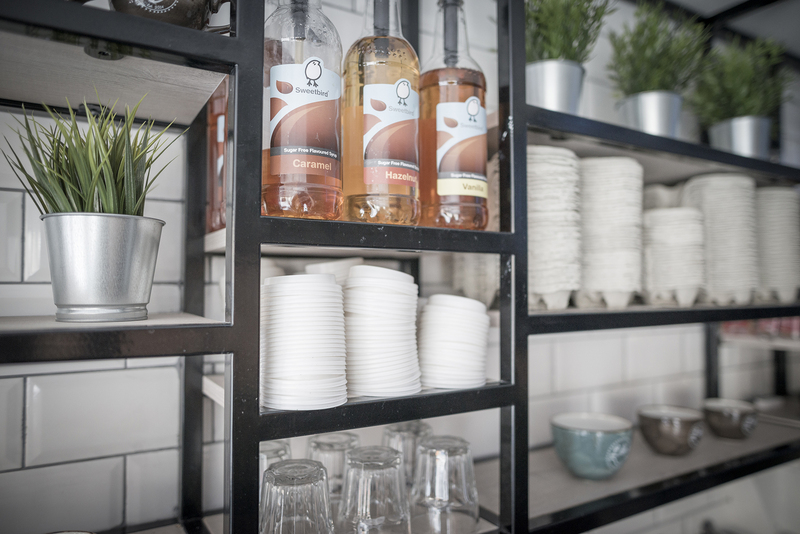 For continuity, copper lights are featured above the servery counter and high bar to continue the copper and industrial feel through into the living and dining area of the space. The lights in some areas had colour coded flex’ to match the existing brand of the shop as well as the table legs and high stools. 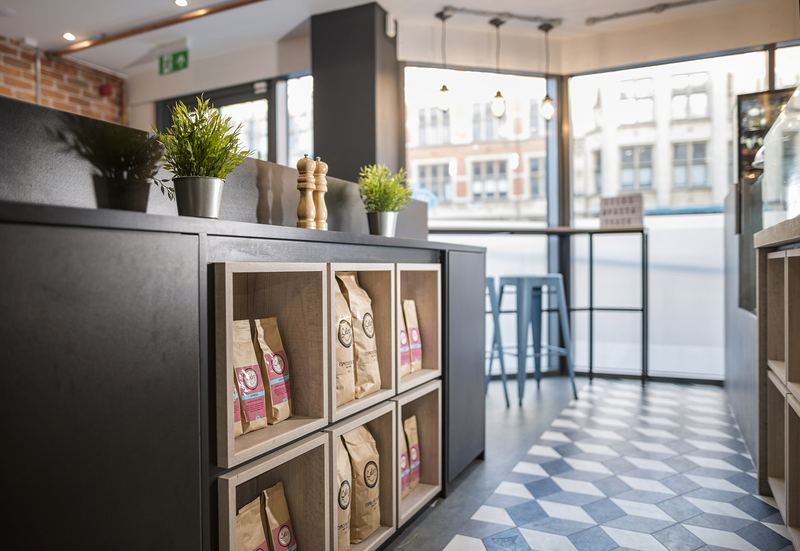 This allowed continuity throughout the space, as well as continuity between the chain of shops.